Microsoft CEO Satya Nadella just unveiled the latest of the “tough choices” Microsoft is making to streamline its business, and it’s a doozy: the company is significantly cutting back its smartphone ambitions almost two years after announcing it would acquire Nokia’s Devices and Services business in an attempt to play a greater role in this market. In an email to employees, Nadella said that the company was moving away from being a phone manufacturer and towards creating a “vibrant Windows ecosystem” that includes a group of first-party devices. As a result, the company will be dismissing around 7,800 employees, with the majority of job cuts impacting people in Microsoft’s phone hardware business. The restructuring also included another aftershock from the Nokia acquisition: Microsoft will take a massive $7.6 billion write-down on the acquisition itself along with a restructuring charge of between $750 and $850 million. The company’s smartphone plans for the near future appear reminiscent of its current approach to the Windows tablet market. Microsoft makes the Surface and Surface Pro devices while simultaneously encouraging third-party manufacturers to create their own Windows tablets. By contrast, the smartphone division responsible for carrying on the Lumia brand that Microsoft acquired from Nokia has been producing a wide variety of devices across multiple different form factors. Nadella said in his email that Microsoft will focus on three key smartphone markets going forward: Business users, buyers of value phones and people who want flagship Windows devices. Microsoft is rumored to be developing a pair of flagship Windows handsets that will be released around the same time as Windows 10 Mobile, and Nadella’s statements today seem to imply that those plans remain on track. It’s not clear how many other devices the company will produce to serve those markets, or if the flagship phones are supposed to serve customers across all three markets. However, Microsoft’s broader smartphone strategy seems a good deal murkier. Two top Nokia executives who joined the company with the acquisition—Devices and Services head Stephen Elop and smartphone chief Jo Harlow—left the company last month as Executive Vice President Terry Myerson gained control of Microsoft’s devices efforts in addition to his role guiding Windows development. The changes today make it clear that Microsoft won’t be producing the same wide swath of Windows smartphones it has in the past. It remains to be seen what that will do to the overall Windows Phone market. Microsoft purchased Nokia to promote development of new Windows Phone hardware, and scaling back its efforts in that regard means that the company is more beholden to other manufacturers to drive forward the hardware market for its smartphones. That’s a major risk, since most manufacturers only offer one or two Windows Phone handsets—if they sell any of them at all. The news comes a year after Microsoft first announced a massive round of layoffs that primarily hit employees it acquired from Nokia. Over the past year, the company cut 18,000 jobs across multiple divisions. Around the same time, Nadella told analysts on Microsoft’s fourth quarter earnings call that he wanted any hardware efforts to tie into Microsoft’s overall strategy. 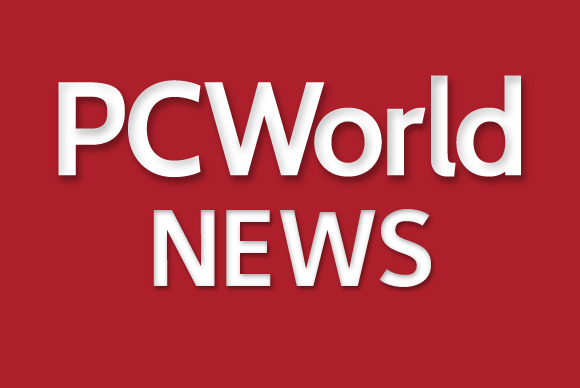 “However, we’re not in hardware for hardware’s sake, and the first-party device portfolio will be aligned to our strategic direction as a productivity and platform company,” he said. The changes feel like an acceptance of reality on the part of Microsoft’s leadership team. Windows Phone currently occupies a distant third position in terms of smartphone market share worldwide, behind Android and iOS. While Microsoft has tried to drive adoption of its mobile operating system by making software and hardware improvements, it has been unable to shake the overall dominance of its two largest competitors in the mobile market. 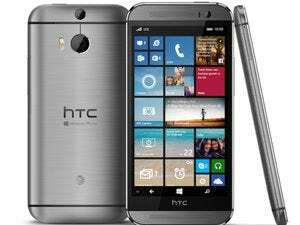 As of May 2015, Windows Phone made up just 3 percent of the U.S. market, according to a report by ComScore. By comparison, iOS and Android combined made up 95.6 percent of the market. At least for right now, Microsoft is continuing to push Windows as a smartphone OS, thanks to its development of Windows 10 Mobile. It’s also not getting out of the smartphone market just yet, despite today’s cuts. But it’s clear that Nadella doesn’t see phone manufacturing as nearly as important to the company’s ambitions going forward, and so he’s drastically shrinking that businesses. It’s part of Nadella’s push to streamline the company’s efforts and move away from working on things that aren’t core to Microsoft’s business. Last week, the company revealed that it sold part of its Bing Maps team and technology to Uber, and sent part of its display advertising business to AOL. The strategy changes are oriented towards creating a leaner Microsoft. The Microsoft CEO told employees in a companywide letter last month that there were “tough choices” ahead for the company. It’s unclear if today’s move is the last in that series, or if there’s still more to come.